Change of address, email and phone number changes- Email Wilfred - Help keep our roster current. David Thomas 4/3/68 Charlie Co.; Kenneth Estes 4/5/69, 4th Engineers; Wallace Dietz 4/13/68, Echo Co.; Roy Alexander 4/20/68, Alpha Co.; Gary Reed 4/20/68, Alpha Co.; Alan Roberts 4/20/68, Alpha Co.; Silas Parobek 4/20/69, Charlie Co.; Donald Blair 4/24/69 Charlie Co.; James Bousquet 4/24/69 Charlie Co.; David Kellison 4/24/69 Charlie Co.; Lawrence Budzinski 4/24/69, Bravo Co.; Randall Riggs 4/24/69, Bravo Co.
"WE REMEMBER" VIDEO TRIBUTE TO OUR RED WARRIOR FALLEN . 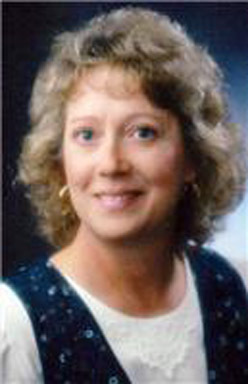 We are saddened to learn that the wife of fellow Red Warrior Norm Goodin, Mary Margaret Goodin, passed away. Norm is an active Red Warrior Vietnam Association member an producer of our prized Red Warrior Challenge Coin. He's served the Association in many venue and has attended our Red Warrior reunions. Funeral Services will be held April 20. Our sincerest sympathies extend to Norm and the family. We are saddened to learn of the passing of George Wilkins II. He passed away on April 3. 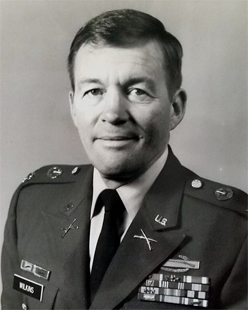 Captain Wilkins served as the CO of Delta Company during his tour of 1967/68. Burial services with full military honors are scheduled April 13. Our sincerest sympathies to family and friends. The close bonds that were made over fifty years ago still give reason for Red Warriors to get together. 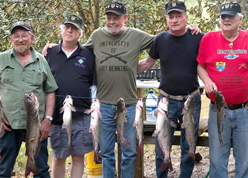 Looks like these Delta boys are having a great time at the invitation of Larry Boyd, who gathered April 8th through the 11th near Gulfport, Mississippi. Looks like Spring time fishing is off to a good start. Boyd said; "They all came to my house, and then we all went to my fish camp on Red Creek. Great time had by all." Indeed, it looks like everyone had a wonderful time. Appears that the catfish met their match. Email your Red Warrior stories to Web Guy: Jim Daniels - Buddies forever! MUST BE SPRING - RED WARRIORS LIKE TO FISH ! 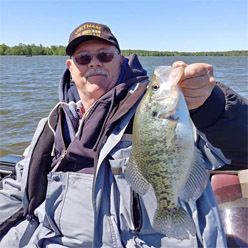 Red Warrior Don Heimstra of Delavan, Wisconsin appears to have gotten an early start on the Crappies in southern Wisconsin, afterall, the ice just left a few weeks back ! Don served for a short time in Bravo Company, but the majority of his service was with Delta, 1967/68. Looks like the Delta boys are ahead when it comes to fishing this year. Any other brothers out there have a fishing photo to share ??? If so, send us your photo! Spring 1969 - NVA On the Move - A Rough Spring for Red Warriors. Found by Chaplain - Warrior Writes Poem After November 1966 Battle. Deceased -" Advance Party" Those who have passed since their Tour of Duty. Sgt Laszlo Holovits died in 1967. Wife Cindy still seeks his citizenship .RW Dennis Lewallen connects. Delta Men visit their former First Sergeant, Kenneth Bender - a reunion of respect. High Schooler Produces Video - VIDEO Tribute to Red Warrior Robert Protto. Red Warriors - VIDEO - San Antonio Reunion Vets Recall Experiences. Book Wins Award - Frank Evans writes Stand To... A Journey into Manhood. 1969 Battalion Year Books - For sale on our PX. two Yearbooks on 1 CD! South Vietnam Provincial Map - map of provinces during Vietnam War. 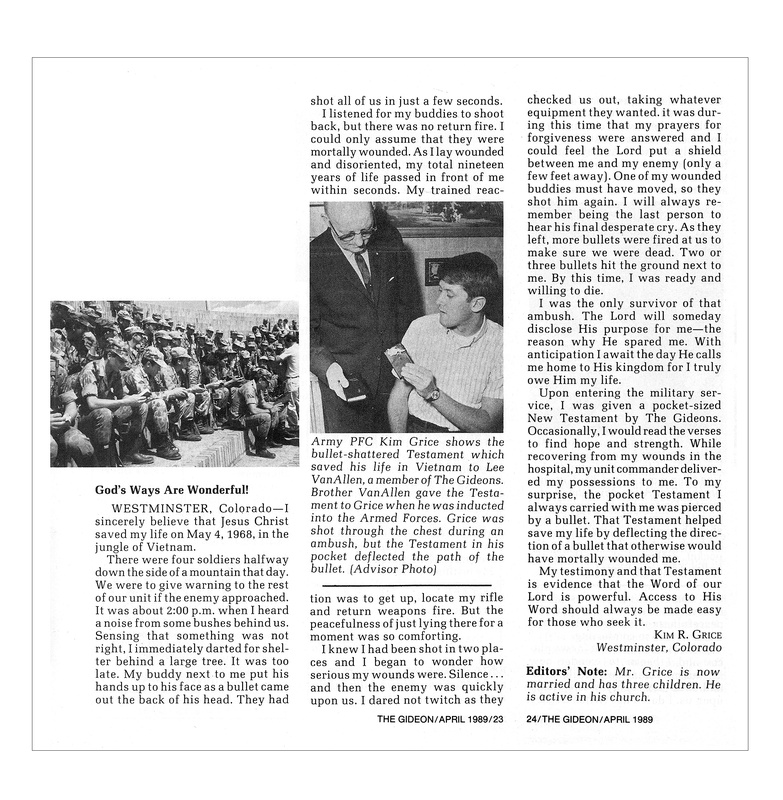 Interesting Vietnam Era Facts - facts and figures of interest to the Vietnam Vet. The Last Huey Retires from the military arsenal...an era passes by for many vets. Did You Know - Camp Enari named in honor of a Red Warrior from Alpha Co.
POW/MIA Table Ceremony explained - the symbolism behind the ceremony. 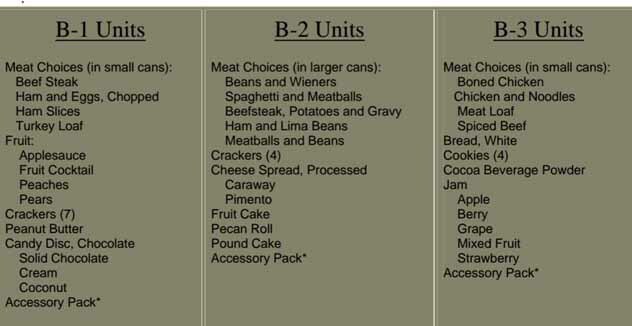 VA Covers Agent Orange Presumptive Conditions You may be entitled to benefits and not even know it ...check it out.